We live in a time when media options are growing at a fast pace. It's a golden age for television, with great shows debuting all the time; the film industry is being transformed by the infusion of new competition from streaming giants like Netflix; podcasts are becoming more mainstream by the day; and despite books not being in a similar growth phase, new titles are still being written constantly. In this crowded media landscape, it's hard to keep track of all the great content waiting to be enjoyed. In the past I've kept notes in Apple Notes containing lists of TV shows, movies, podcasts, and books to check out. Lately, however, I've been using an app called Sofa. 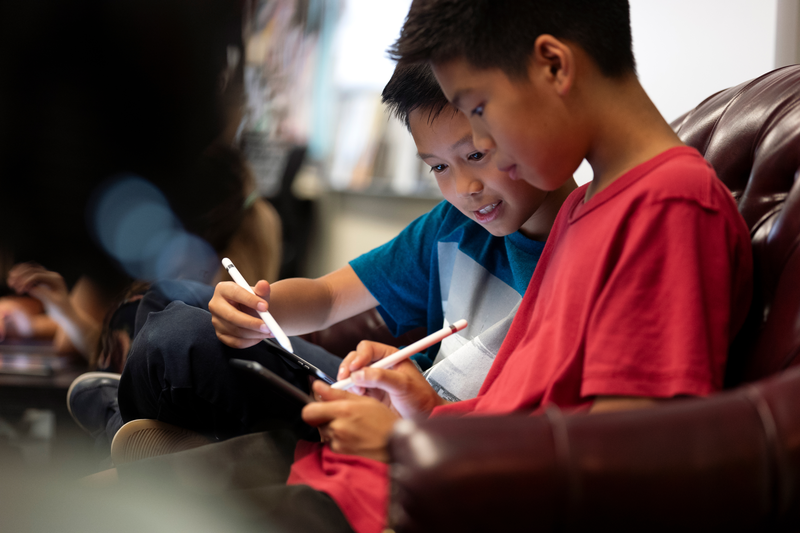 Last March, Apple held an education event in Chicago where it unveiled a 9.7-inch iPad with Apple Pencil support and a new curriculum called Everyone Can Create. Since then, Apple says over 350 schools worldwide have begun working with the program. A complement to its Everyone Can Code initiative, Everyone Can Create is designed to help teachers and students use iPads in creative pursuits such as drawing, music, photography, and filmmaking. Today, Apple announced that as part of the Everyone Can Create initiative, it has released four student guides and a teacher guide that are available in Apple’s Books app. Each student guide, which is free to download in the Books app, includes projects designed to help students learn new creative skills progressively. There is also a teacher guide with over 300 lesson ideas that can be used in a variety of subjects. The curriculum includes projects that use third-party apps like Tayasui Sketches School as well as Apple’s apps too. Although the Everyone Can Create guides are being released after many students are already back in school, teachers have had preview materials since the summer, which should help them incorporate the new materials into their lessons if they’d like. Everyone Can Create extends Apple’s curriculum offerings beyond coding, which I like because it should reach a broader group of students. It’s also designed to fit with existing subjects taught in schools, which I expect will make the iPad more valuable to schools that have adopted them. The Everyone Can Create books are available as free downloads in Apple's Books app. Our Internet-driven society has seen a decline in book reading, though not necessarily a decline in reading altogether. Despite book readers being less common than in past decades, we all do a fair amount of reading each day on our smartphones – reading messages from friends, or tweets, emails, Facebook posts, notifications, articles, and so on. Personally, I've always enjoyed reading books, and I continue to read them regularly – though not as much as I'd like. However, I also read an abundance of emails, tweets, messages, and articles every day. A day may pass with me not reading a book, but that never happens with the likes of email and messages. Part of the reason my Internet-driven reading habits are more consistent than my book reading habits is that I have to read those things to do my job. But there's another reason too: email and Slack demand my attention each day via push notifications, while books do not. Add to that, emails and messages come in bite-sized quantities, whereas books are much longer, and thus more intimidating. Serial Reader aims to fix that. No stranger to the App Store, Serial Reader has been around for several years, but I recently gave it a try for the first time. The premise of the app is simple: it contains a collection of over 550 classic books that can be delivered to you in bite-size chunks. At a time of your choosing, Serial Reader will send a daily notification informing you that your latest issue of, say, War and Peace, is available to read. Each issue is compiled with an estimated reading time under 20 minutes, though most I've seen are around 10 minutes – very easy to digest. We all receive regular interruptions from Internet services that take 10 minutes out of our day at a time, and with Serial Reader you can plan those interruptions in a way that helps you read more books. By offering up small helpings of a book each day, and delivering that book's latest "issue" through a notification, Serial Reader fixes key barriers to book reading. While I wish I could use it with my own collection of books, the public domain classics included in the app offer a wealth of quality options. If you want to read more books, Serial Reader offers a clever, convenient way to do that. And there's no better time than the present to give the app a try – it just received a big update to version 3.5, with a new multi-column reading mode for iPad, curated book collections, alternate app icons, and a design refresh. Serial Reader is available on the App Store. Have you ever watched the construction of a new building while knowing nothing about what the finished product would be? You track its progress a piece at a time, clueless about the end goal until finally there comes a point when, in a single moment, suddenly it all makes sense. Apple's media ambitions have been like that for me. In recent years, Apple has taken a variety of actions in the media space that seemed mostly disconnected, but over time they've added up to something that can't be ignored. 2015: Apple Music and Apple News launched. 2016: Apple Music redesigned; TV app debuted. 2017: App Store revamped with dedicated games section; Apple Podcasts redesigned; TV app adds sports and news. 2018: Apple acquires Texture; iBooks redesigned and rebranded Apple Books. 2019: Apple's video streaming service launches? Apple already has control of the hardware that media is consumed on, with its ever-expanding iPhone business and suite of complementary products. It has invested significant effort into building the apps media is consumed in, as evidenced above. And finally, it's also building the paid services media is consumed through. Apple has one unified goal, I believe, driving all its media efforts: it aspires to utilize hardware, software, and services to provide the entirety of a user's media experience. If you consume media, Apple wants to provide the full stack of that consumption, from media delivery to media discovery. My aim in this story is to share an overview of how that goal is being fulfilled today. OS X and the iMac’s stories are intertwined, but are often told separately. Apple’s strength is most obvious when its hardware and software are working in harmony, and that’s what was needed to save Apple in the late 1990s. Turns out, it worked. Aqua and Bondi shares that story for those who haven’t read it before. It’s a consideration of Apple at a very interesting time in its life and the products it shipped. I had the pleasure of reading an advance copy of Aqua and Bondi and love it. Not only is the story of OS X and the iMac G3 told in a compelling and accessible way, but the book is full of fantastic photos drawn from numerous sources, including Hackett’s own collection of colorful iMacs. 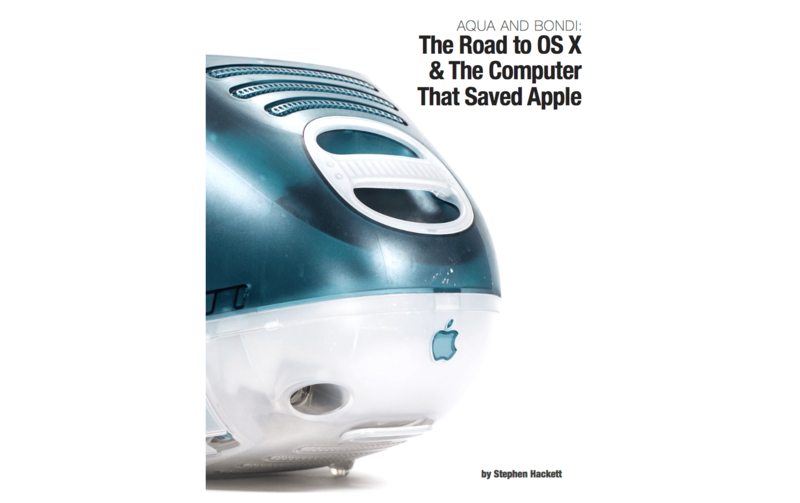 Aqua and Bondi is available from the iBookstore and as a PDF from aquaandbondi.com for $3.99. Developer Christian Tietze has published an excellent book titled Make Money Outside the Mac App Store. It focuses on the FastSpring payment and storefront service. If you're a developer looking at using FastSpring to avoid the hassles and 30% cut of selling through the MAS (or are already using FastSpring and want to implement more advanced features), this is a great guide covering implementation, piracy protection, and more. MacStories Interviews was a series of interviews with well-known developers, bloggers, journalists and geeks that we published late last year. We've revived the format to interview Ryan Rigney, author of Buttonless, a new book about iOS games that is launching on December 13th. We'll have a full review of the book when it is released, but in the meantime we thought it would be interesting to hear more from the author himself. MacStories: Hey Ryan! Could you introduce yourself to the readers who haven't heard about you or haven't read any of your work before? Sure! I'm a freelance writer who has written for a number of gaming outlets, most notably GamePro, PC Gamer, and Gamasutra. I've mostly written about iOS gaming, but I'm also a big console gamer so I've done a good bit of writing about those types of games as well. Just this week GamePro published my review of Minecraft! MacStories: So tell us a bit more about your new book, Buttonless. What made you decide you wanted to write this book? Over the past few years I've been so focused on iOS and written so much about iOS games that it's become something of an obsession. I've reviewed hundreds of iPhone and iPad games, interviewed scores of developers, and purchased far too many apps. I pretty much came to the realization that I possessed enough experience and knowledge to write a book, and then began brainstorming ideas. It took a while for me to figure out that I wanted to put so much of the focus on "the stories behind the games," though. MacStories: Did you find it difficult finding a publisher willing to help you write this book given it is such a new industry that may appear very "niche"? Actually, A K Peters/CRC Press was the first publisher I approached. In my pitch, I shared with them a bunch of numbers that I had stumbled across––how many hundreds of millions of iOS devices are out there, and how many people are buying these games. The truth is, it's really not a niche. iOS gaming is now the most popular form of portable gaming, and it's only getting bigger. Maybe if I had tried to write a book about 3DS games, the publisher would have needed more convincing haha! There are many pictures of Steve Jobs, and perhaps one of the most iconic is the scraggly bearded CEO posing for the camera, hand up to his chin as he imagines Apple's next greatest device (at least I like to think that). 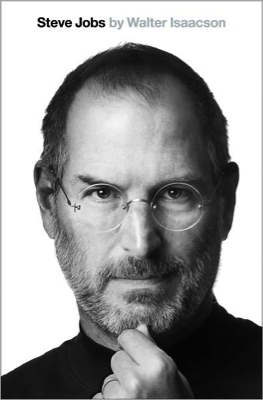 The image will also be making an appearence on the cover of Walter Isaacson's biography of Jobs (previously: The Book of Jobs), can be seen on the Barnes & Noble storefront with a publication date set for November 21st. You can currently preorder the hardcover for $20.40 (list price is $32.50), with B&N's digital eBook availalbe for $14.99. 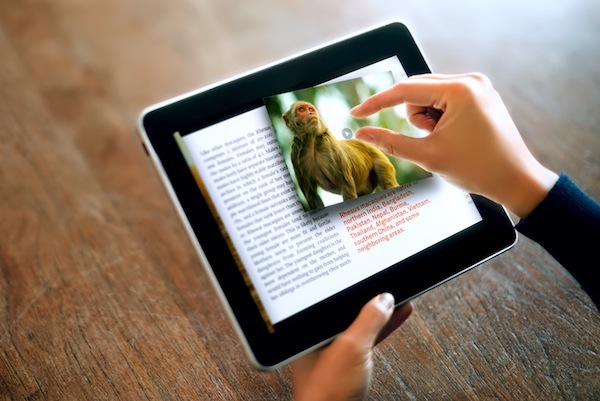 It was only last February that Push Pop Press started teasing a brand new kind of digital books for the iPhone and iPad, promising to revolutionize the way users interact with text, images, and video on a multi-touch screen. Started by former Apple employees, Push Pop Press built a unique publishing platform and physics engine that was best demonstrated in Our Choice, Al Gore's book ported over to Push Pop Press' platform, released on the iPhone and iPad and winner of an Apple Design Award in June. With an update on their website, Push Pop Press has announced that they've been acquired by Facebook. It's unclear how the technology will be integrated into the "world's largest book", but the blog post says "although Facebook isn't planning to start publishing digital books, the ideas and technology behind Push Pop Press will be integrated with Facebook, giving people even richer ways to share their stories". Push Pop Press' first book Our Choice will remain available for sale with profits donated to The Climate Reality Project; future books planned with Push Pop Press' closed beta won't be published following this acquisition. Now we're taking our publishing technology and everything we've learned and are setting off to help design the world's largest book, Facebook. We’re thrilled to confirm that we’ve acquired Push Pop Press, a startup whose groundbreaking software changes the way people publish and consume digital content. We can’t wait for co-founders Mike Matas and Kimon Tsinteris to get started, and for some of the technology, ideas and inspiration behind Push Pop Press to become part of how millions of people connect and share with each other on Facebook. You can read our original review of Push Pop Press' Our Choice here. Whilst Facebook apparently has no plans to enter the publishing market, Push Pop Press' interaction methods and innovative engine might be a good fit for Facebook's iPhone and upcoming iPad app.